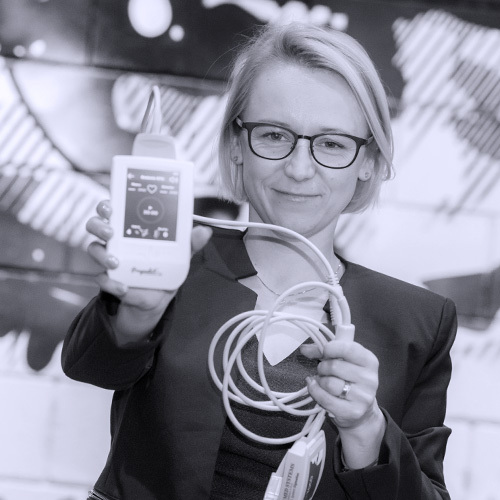 Patrycja Wizińska–Socha, MD PhD, is a co-founder and CEO of Nestmedic S.A. Referred to only as an expert in the areas she deals with. Her professional life is also her passion, which is why she easily absorbs new information and practical skills, which ensures her intensive development. She is full of enthusiasm for the tasks she carries out and for the people with whom she works. She likes to challenge herself. She is a pharmaceutical biotechnologist by education, a graduate of the Wrocław University of Technology. She received her PhD from the University of Medical Sciences in Wrocław which as she explains appealed more to her heart than to her mind. She comes from Wałbrzych, a city that was and is amazing, mysterious and inspiring for her (and it’s not just about the fever of gold trains).